While Chardonnay skews toward full-bodied wines, Sauvignon Blanc makes wines that tend to be lithe and light on their feet. Its calling cards are an herbal scent and tart, citrus-driven flavors. The best regions for Sauvignon are the Loire Valley in France, where it takes on a firm, minerally depth; New Zealand, where it recalls the tartness of gooseberries and, sometimes, an almost green, jalapeño-like note; California, where it pairs crisp grassiness and a melon-like flavor; and South Africa, particularly the Cape region, where it combines the minerality of France with the rounder fruit of California. 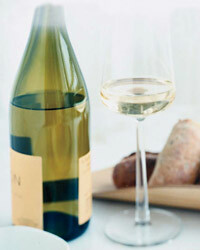 Sauvignon Blanc teams well with light fish, shellfish, salads and green vegetables, and it’s a perfect aperitif, too.